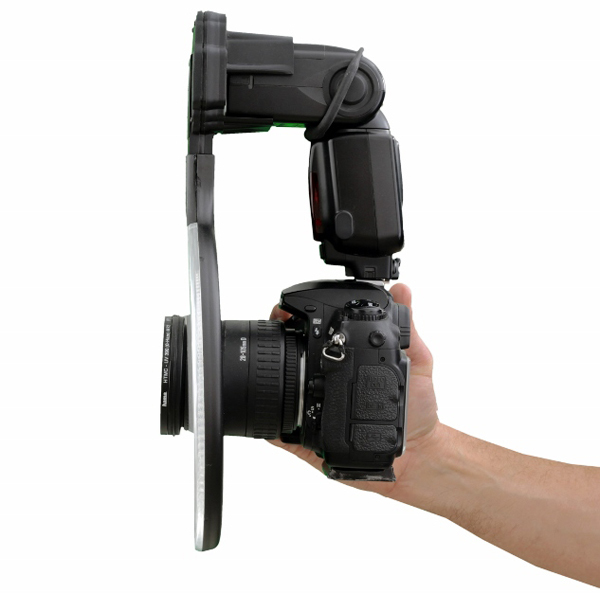 Ray Flash, the Czech company behind the eponymous speedlight ringflash adapter, has announced an new version. The Ray Flash “Universal” Ringflash Adapter has a “new and up-dated design” that works with any brand of speedlight. It is also less bulky than the original Ray Flash adapter, which has been discontinued. 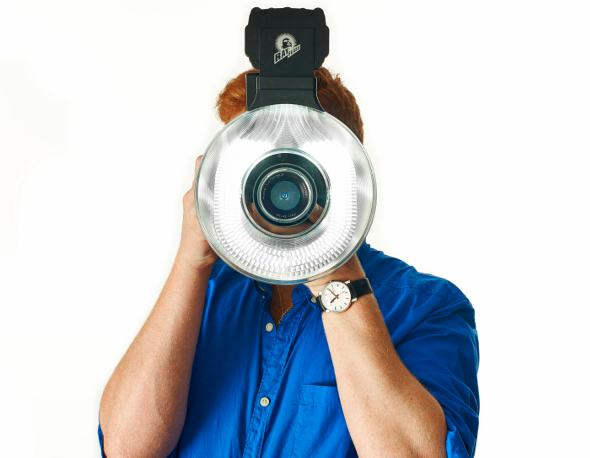 The brainchild of photographer Dalibor Zyka, the Ray Flash is meant to be a cheaper, lighter alternative to conventional ring lights run from studio generators, “which are expensive, heavy and tethered”. The adapter, which fits to the front of most shoe-mount flashguns, uses “a clever system of acrylic light channels and reflectors” to pass light around the circular device and out the front to simulate a “ring flash” effect. Weighing 540 grams, “it is small and light-weight enough to allow complete mobility”. Despite the name, the adapter is not truly one-size-fits-all, so there are two models available, Short and Long, to suit different heights of camera bodies. Retail price, including VAT, is £99 for the Universal RayFlash, either short or long neck versions. The UK and Ireland distributor is Flaghead Photographic. Visit ray-flash.com for further product information. Rival products include the Orbis, the Roundflash and various generic adapters.